Do you struggle to camouflage your acne flare-ups every time you want to leave the house? Have you tried countless face wash remedies but can't seem to get rid of your skin's redness? For the past 10 years, Dr. Sarv Zand has been helping patients with rosaea and and acne achieve and maintain healthy, glowing skin. At Zand Dermatology in Mill Valley, patients visiting her office from Tiburon, Marin County, or the Greater San Francisco area can take advantage of Dr. Zand's customized combinations of traditional prescription products and soothing botanical therapies, helping you feel confident in your skin again. Schedule an appointment online or call Zand Dermatology today. Acne is a chronic inflammatory skin condition that affects more than 60 million Americans annually. It involves your skin’s oil glands at the base of your hair follicles; when a gland becomes clogged, a pimple forms. If not handled properly, it can lead to permanent scarring. Chronic acne often leads to feelings of low self-worth and depression. According to the British Skin Foundation, 95% of acne sufferers state that acne impacts their daily lives, and 63% report that their confidence level suffers as a result of acne. If your parents had severe acne, chances are you do too. Hormones, dead skin cells, and ingrown hairs also contribute. Bacteria, made up of dead skin and oil, often cause acne by blocking the hair follicles in your skin. Acne affects people of all races, genders, and ages. Acne typically develops around the onset of puberty and most commonly affects teenagers and young adults. But that doesn’t mean you can’t have an annoying breakout at the age of 55. Adult acne is reportedly on the rise. How can I treat my acne effectively? There are several acne treatments on the market today. Figuring out which one will work for you specifically can be a challenge. Often, the underlying cause of acne is a food allergy or excess flour and sugar in your diet. Eliminating specific foods from your diet may improve your skin substantially. Other times, hormonal changes and stress induce flare-ups so avoiding these triggers could help to resolve the problem as well. Some providers often prescribe harsh medications and antibiotics to treat acne, but Dr. Zand recommends prescription topical treatments that she provides in-office. There’s no need to make an extra trip to the pharmacy. Regardless of the treatment plan you choose, acne takes time to clear up. Set up an appointment with Dr. Zand today to discuss your treatment options. Rosacea is a chronic, inflammatory skin disorder that can cause redness, swelling, and acne-like bumps on your skin. Anyone can suffer from rosacea, but it’s most common in fair-skinned individuals, often women, over 30. Rosacea typically occurs on the nose and face, but in some cases can even be found on the scalp, ears, neck, or chest. If left untreated, rosacea often worsens with time. Since the cause of rosacea is widely unknown, there is not a cure. However, by identifying and avoiding the triggers that seem to aggravate your condition, rosacea can be much more manageable. 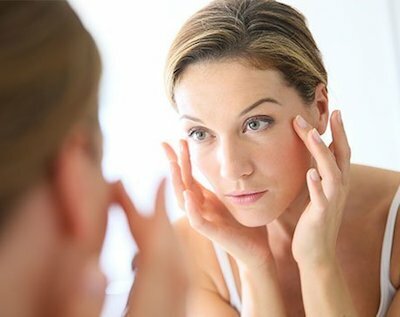 According to the NRS, 96% of individuals suffering from rosacea said they saw a reduced number of flare-ups when they avoided factors they believed were triggers. Since your symptoms differ depending on your rosacea's subtype, treatment varies from person to person. Dr. Zand will design a treatment plan that is tailored to your specific symptoms and needs. She often incorporates natural and botanical therapies that are effective and calming. She gladly answers any questions you might have and will help you choose the best regimen for you. Remember, you are not alone. The sooner you make an appointment with Dr. Zand, the sooner you will want to show off your clearer complexion. Call or schedule an appointment online.